Congress’ annual August recess is beginning — the traditional time for members to return home to hold town hall meetings, talk to constituents and campaign. 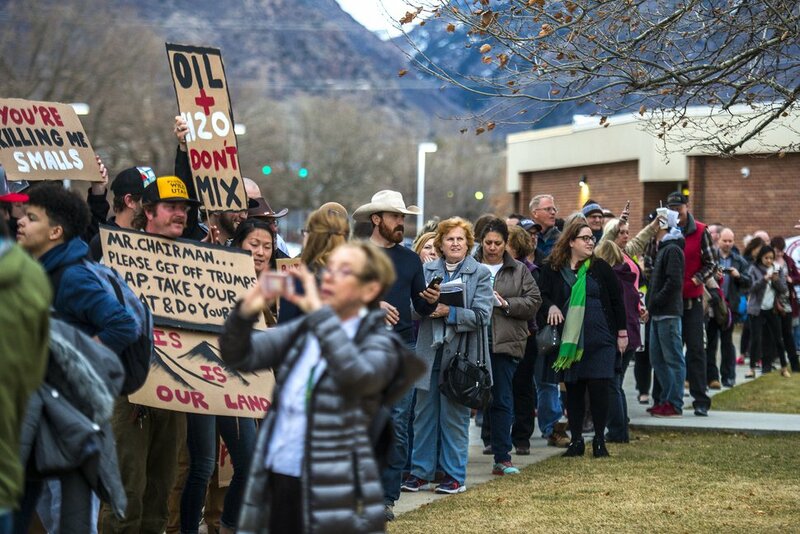 But Utah voters may struggle to find an old-style, anyone-can-talk town hall meeting where they may weigh in face to face with elected leaders on immigration, trade wars, President Donald Trump or any other issue. Brigham Young University political science professor David Magleby mourns the increasing rarity of true town halls. “It’s very unfortunate because I think they are an important opportunity for the public to interact with elected officials,” he said. “The sad reality is we are living in a period of echo chambers where people tend to talk and listen — and even consume news — only from people who agree with them." The demise of town halls may be a byproduct of incivility in the wake of two landmark political events — the fight over the Affordable Care Act, also known as “Obamacare,” and the election of Trump. 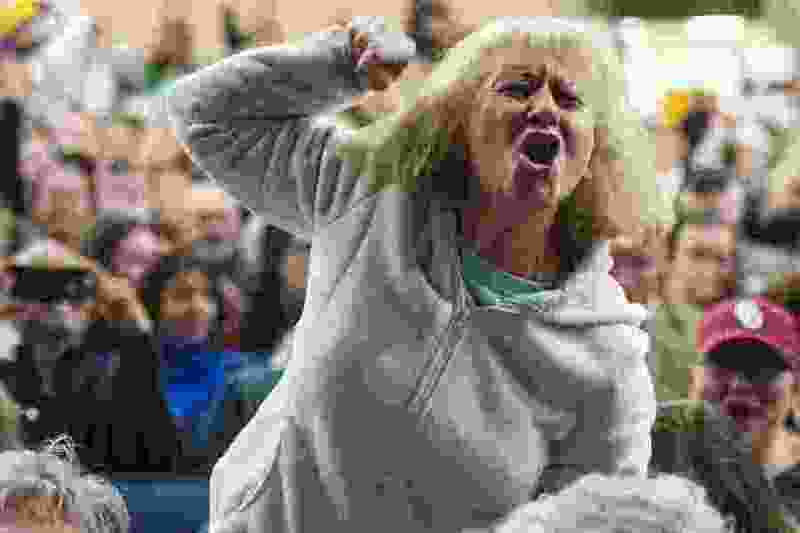 Rowdy crowds • In 2009, the health care debate exploded into hostility at town hall meetings around the country, some devolving into fistfights and helping spur the populist tea party movement. Members of Utah’s delegation at the time, including Democratic Rep. Jim Matheson and Republican Sen. Orrin Hatch, stopped doing live town hall meetings. Then, after Trump’s 2016 election, protesters nationally started crowding into such meetings to counter and shout down members who supported him. They grew so rowdy that former Utah Republican Party Chairman James Evans last year even urged canceling town halls, saying they had become too dangerous. • At Brighton High School in February 2017, protesters shouted down former Rep. Jason Chaffetz for his refusal to investigate Trump’s potential conflicts of interest. They yelled, “Explain yourself” — but Chaffetz had a tough time being heard over them. After initially alleging the crowd was incited by “outside agitators,” he backed off that unsubstantiated assertion. Chris Detrick | The Salt Lake Tribune Crowds of people line up before the town-hall meeting with U.S. Rep. Jason Chaffetz, R-Utah, outside Brighton High School, Thursday, Feb. 9, 2017. Similar scenes occurred around the nation. Rep. John Culberson, R-Texas, in March 2017, barred noisemakers at a town hall, insisted that questions be submitted in advance and asked those attending to prove they were constituents by showing utility bills or other documents. He was still shouted down repeatedly by an angry crowd. Skipping town halls • Amid the political risks, Utah’s six members of Congress, all Republicans, report scheduling only two traditional town hall meetings among them for the August recess so far, although they say more may be added. Rep. John Curtis plans one Monday in Moab (5 p.m. in Star Hall, 159 E. Center St.), and Stewart will hold one Tuesday in Manti (7:30 p.m. in Manti High School). Rural town halls have not been as rowdy as those in urban areas. Rep. Rob Bishop says he plans several around his district but has yet to finalize plans. Five of the members — all but Sen. Orrin Hatch, who is not seeking re-election, and whose office did not respond to inquiries — say they value interaction with voters, but they often opt for methods besides town halls to allow that. 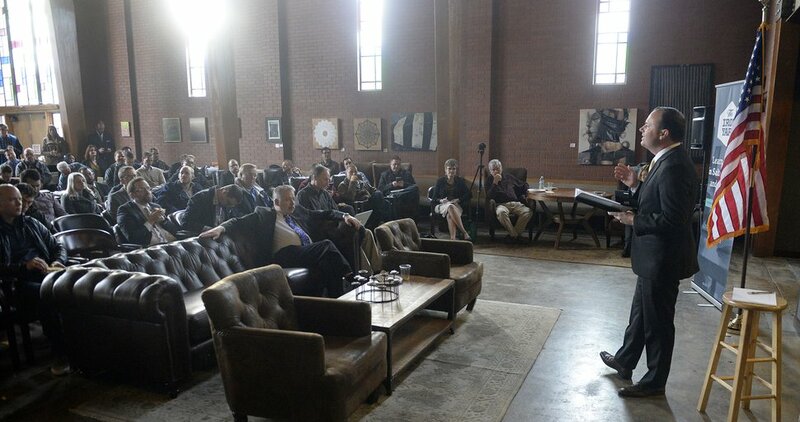 Al Hartmann | The Salt Lake Tribune Utah Sen. Mike Lee holds a roundtable with young professionals in the tech industry at Church and State in Salt Lake City, Wednesday, Jan 6, 2016. Like Lee, most members say they are planning telephone town halls — usually announced on members’ Facebook pages or in emails to supporters. But unlike traditional town halls, they usually mute all but one speaker and easily prevent protests. Members usually ask for questions to be submitted in advance and choose which ones to address. 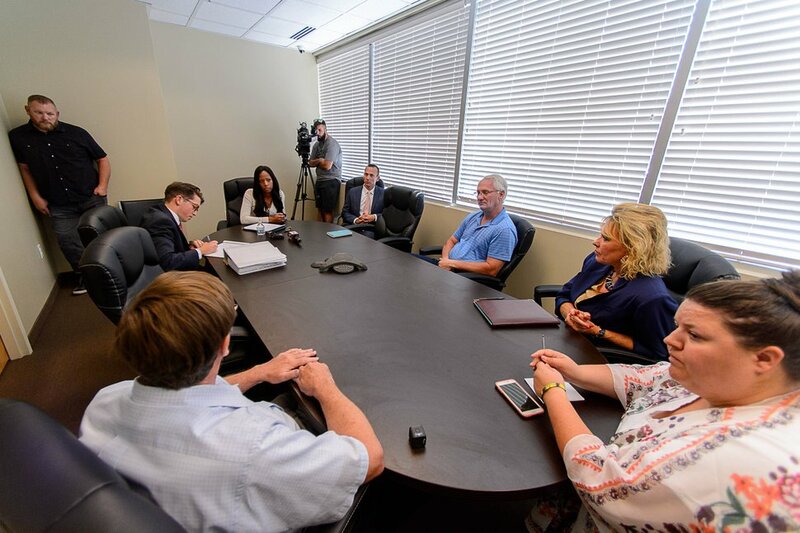 Rep. Mia Love said she is using many of the same methods as Lee plus one she calls “open office hours.” Her office invites small groups of eight to 12 people at a time to her office and tries to group them according to interest or similar questions. They are limited to about 15 minutes. (Trent Nelson | The Salt Lake Tribune) Rep. Mia Love, R-Utah, meets with constituents during "open office hours" at her West Jordan office, Tuesday, Aug. 1, 2017. Love met with constituents in groups no larger than 10 people, her alternative to holding a town hall. Defending town halls • Love skipping traditional town halls has led to criticisms from Democratic Salt Lake County Mayor Ben McAdams, her opponent in their tight 4th District race. McAdams holds town halls — including one this year with 400 people upset about a proposed development near Herriman — and several in 2017 with upset crowds as the county explored where to locate a new homeless shelter, said Roberts. Stewart continues to hold some — despite the rowdy one he faced in Salt Lake City last year. Curtis gives the most ringing support of traditional town halls and says he has held dozens since he won a special election last year to replace Chaffetz. He also hosted them often when he was Provo’s mayor and says those were tougher, and make the current ones seem easy. (Rick Bowmer | Associated Press file photo) In this Saturday, June 23, 2018, photo, Rep. John Curtis speaks during a town hall meeting in Cottonwood Heights. Curtis also said he’s explored having some creative town halls — including earlier this month inviting residents through his Facebook page to climb Mount Timpanogos with him to discuss environmental issues.